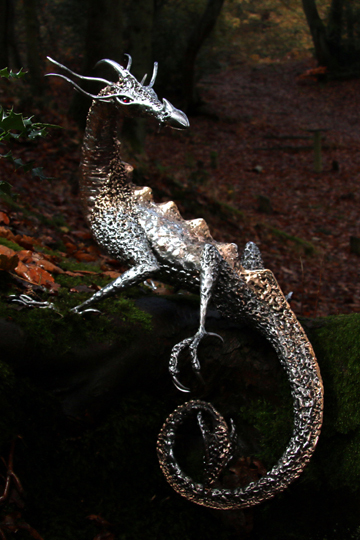 I enjoyed making my last dragon commission so much I thought I'd try my hand at more of a "shiny" silver dragon . I have to say I'm extremely happy with the result shown here! 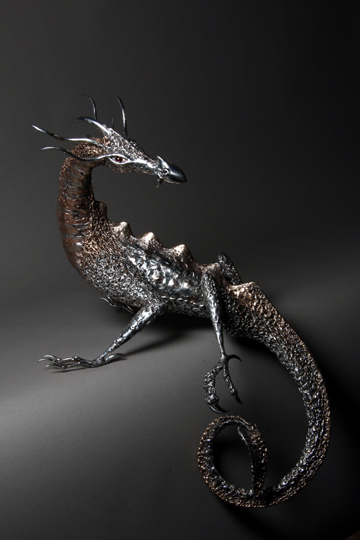 The body of this sculpture was made by carefully welding small pieces of stainless steel together around an armature to create the dragon's outline. 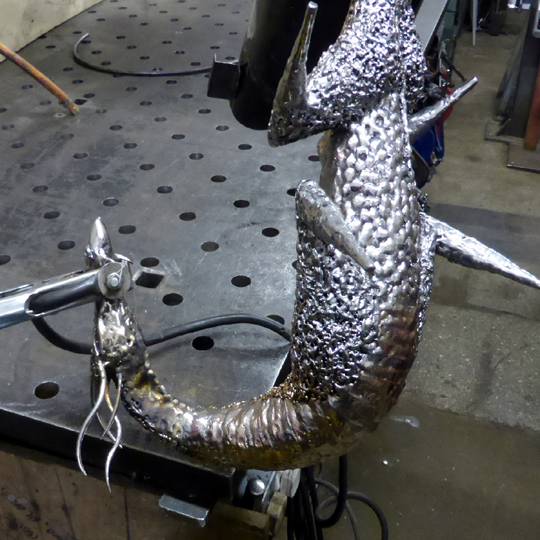 Her fins, ribs and tail ridge were then built up using different coloured bronzes. 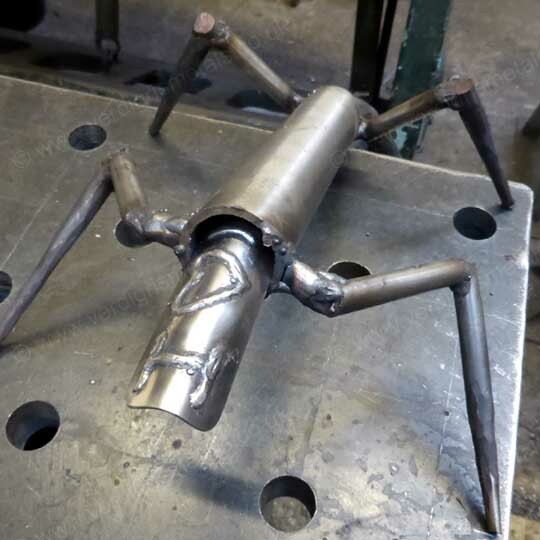 A variety of welding techniques were used to create the different skin textures used. The sculpture was specially commissioned as a gift to someone and contains the message "I love you" to its owner inside her. Hopefully she'll be warmly appreciated by someone. 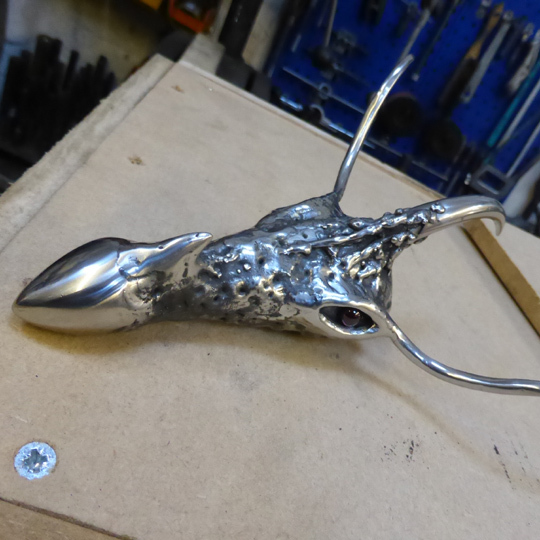 I wanted the colour of the dragon to gradually change between the bronze and silvery stainless steel, with a subtle blending between the two. 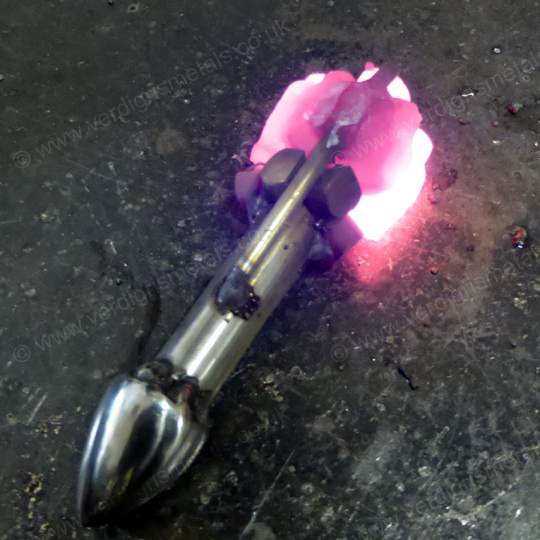 After much experimenting I achieved the "look" I was after by carefully fusing and melting the two metals. 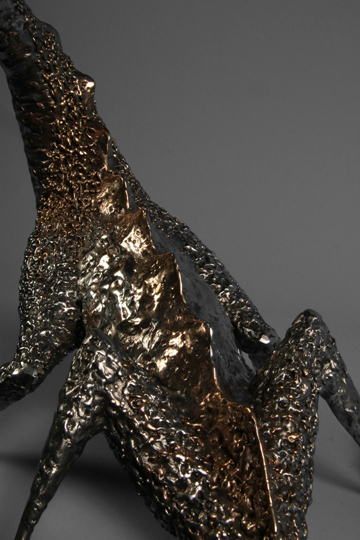 The beauty and variegated tones of the fused metals were enhanced by deeply polishing the sculpture all over. 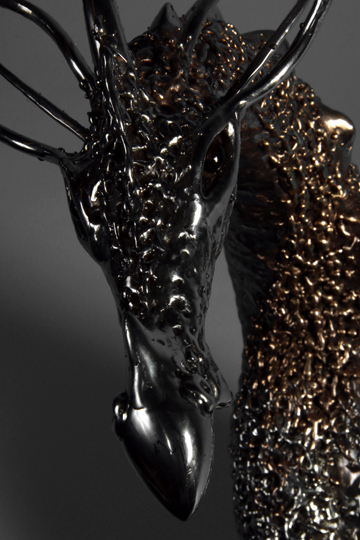 As a finishing touch, garnet gemstones were used for her eyes to bring the sculpture to life to life. As before, I enjoyed working on this sculpture so much I'm hoping to start on yet another dragon ASAP ... but larger ... and with wings!